Budget Pest Control is the name you can trust for reliable emergency pest control. We are a locally owned and operated company specializing in rapid response to your emergency and after hours pest problems. Please email us or call (08) 9344 7448 and we’ll be happy to serve you. Founded in 1979, Budget Pest Control has earned a reputation as one of Western Australia’s most recognized pest control companies. From Yanchep to Mandurah, we have been eradicating pests and controlling your termite problem to ensure your residential or commercial property remains safe and pest free. We believe it is our professional service that sets us apart. Our experienced team makes it their priority to understand and design an integrated pest management plan to suit your individual needs. From prevention measures including termite inspection through to safe and effective treatments and extermination, we have the perfect pest eradication solution for you. Although specializing in the control and eradication of termites, Budget Pest Control can control a wide range of common pests including: termites (white ants), wasps, bed bugs, spiders, cockroaches, mosquitoes, mice, flies/bees, rats, millipedes, and silverfish. At Budget Pest Control, we use the latest in pest control technologies including Thermal Imaging and Termatrac Termite Detection plus our products are selected on stringent criteria for safety and efficiency to ensure the environment and your home are well cared for. All of our technicians are licensed by the Department of Public Health (Lic #211) and are fully qualified in all aspects of domestic and commercial pest control. 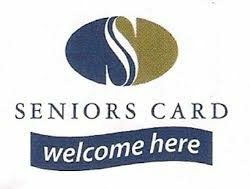 Pensioner discounts and credit card and payment plans available. For a no obligation, free quote, 24 hours a day, 7 Days a week, contact us today.